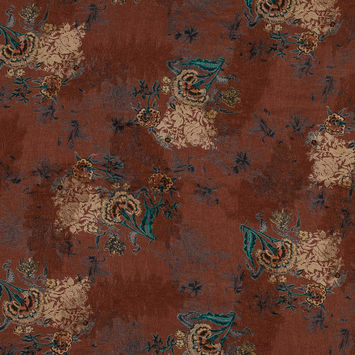 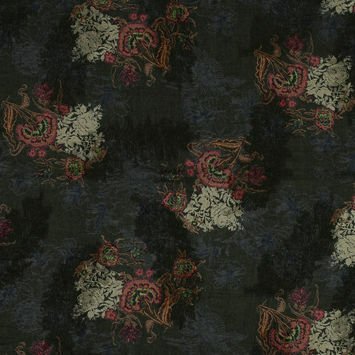 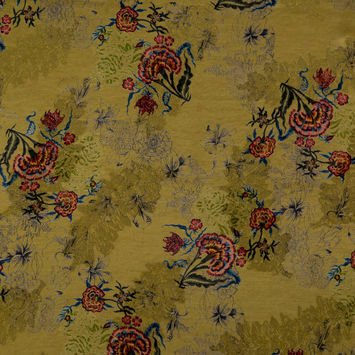 Rayon Jacquard Fabric has a distinct textured quality and usually incorporates complex patterns in the design. 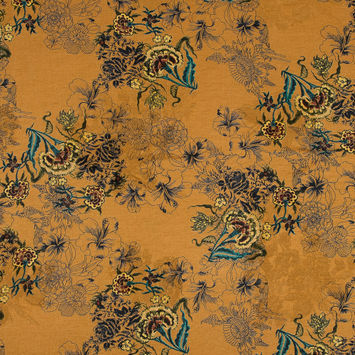 It is made using a Jacquard loom, from which the fabric gets its name, that has harnesses connected to one, two or four warp yarns. 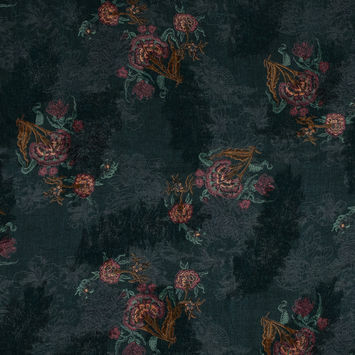 The harnesses enable each individual thread to move independently, which is why the fabric typically has such intricate designs. 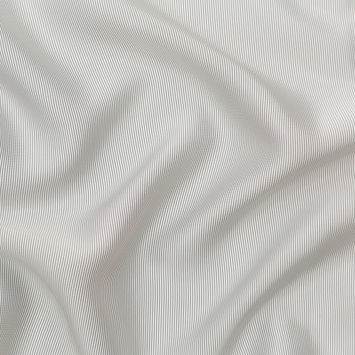 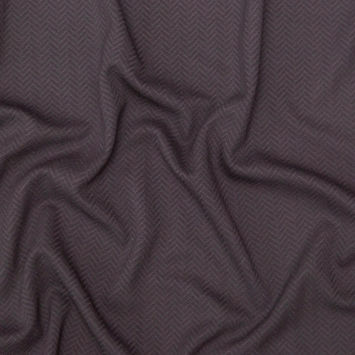 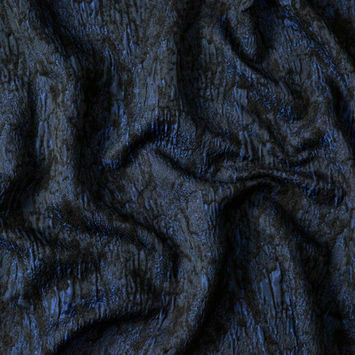 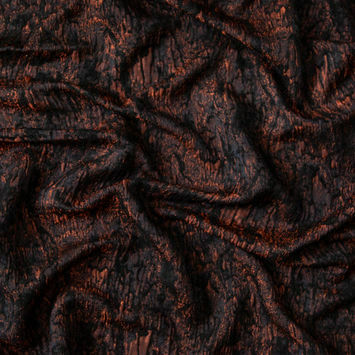 Our alluring collection of rayon Jacquard Fabrics is perfect for creating elegant jackets, dresses and tailored pants.